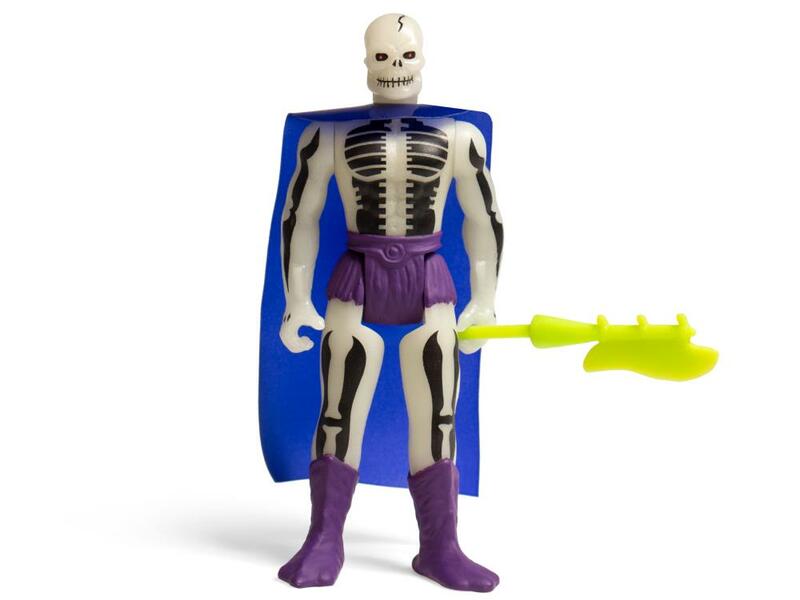 HomeToysMasters of the Universe ReAction Figures – Wave 4 Now Available! 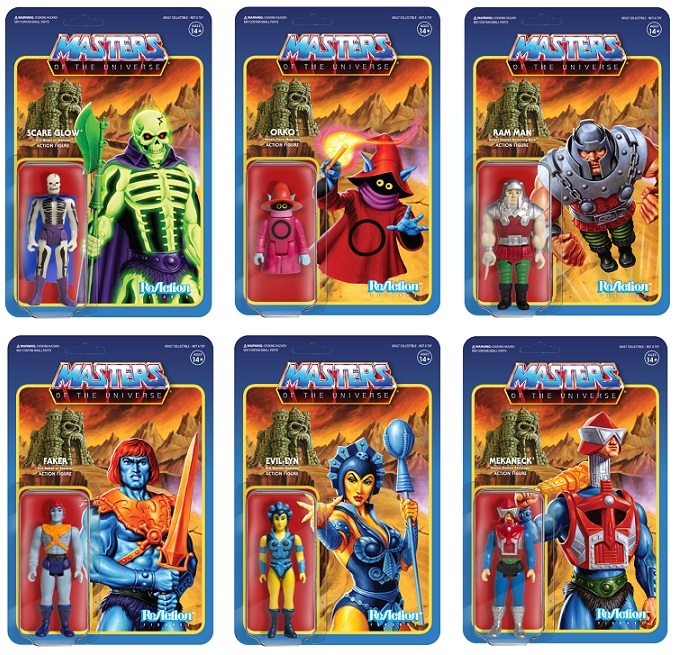 Masters of the Universe ReAction Figures – Wave 4 Now Available! 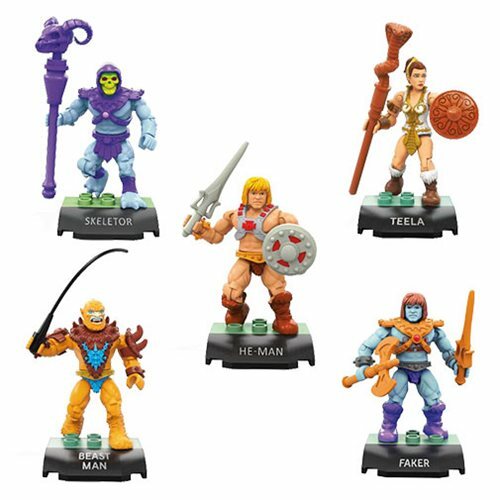 The new additions to Super7’s 3.75-inch MOTU ReAction Figure line are now here! The iconic Masters of the Universe toys re-imagined as 3.75″ action figures from the golden age! 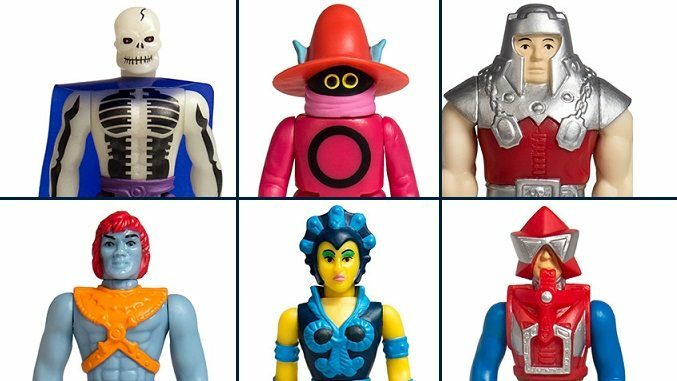 Evil-Lyn, Faker, Orko, Mekaneck, Ram Man, and Scare Glow are ready to join forces with your MOTU ReAction collection! Each figure features new and original card art by Jason Edmiston! 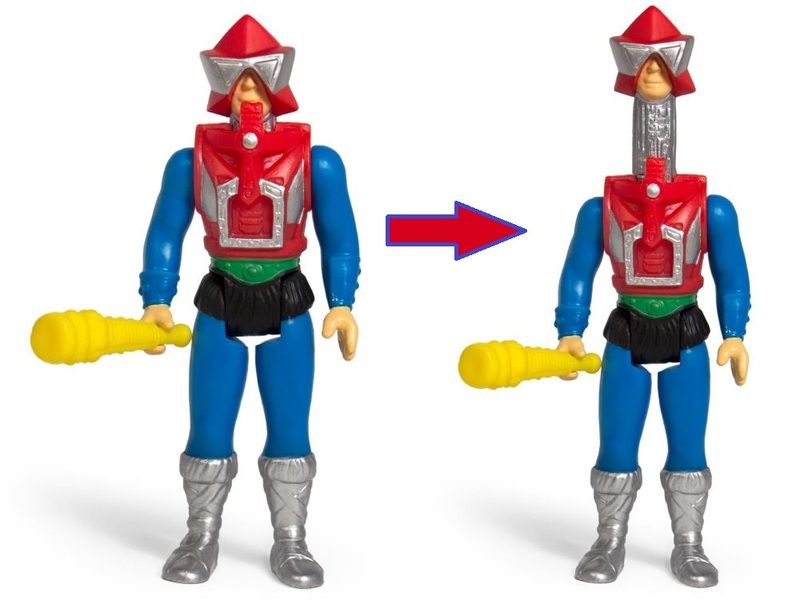 Evil-Lyn – The evil warrior goddess comes with her evil staff. 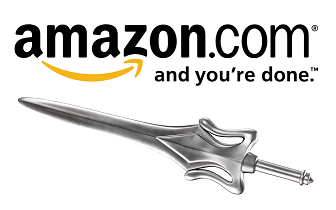 Faker – The evil robot of Skeletor comes armed with sword accessory. 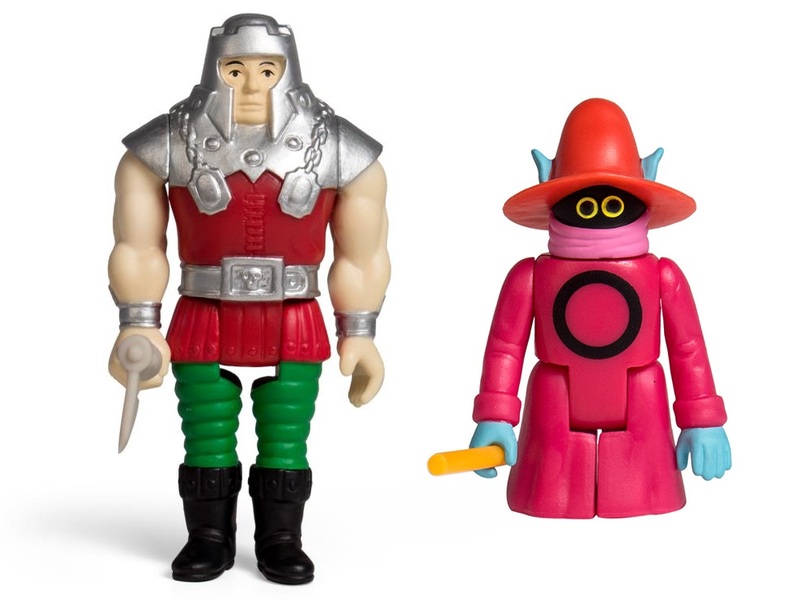 Orko – The heroic court magician comes with magic wand accessory and is sized at a special 2-inches to be in proportion with the other MOTU 3.75-inch ReAction Figures. Mekaneck – The heroic human periscope comes armed with club accessory and features extending periscope neck. 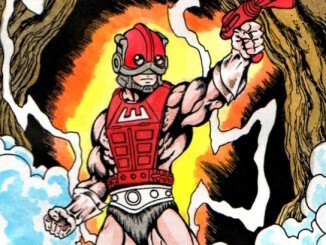 Ram Man – The heroic human battering ram charges into action with his axe accessory. 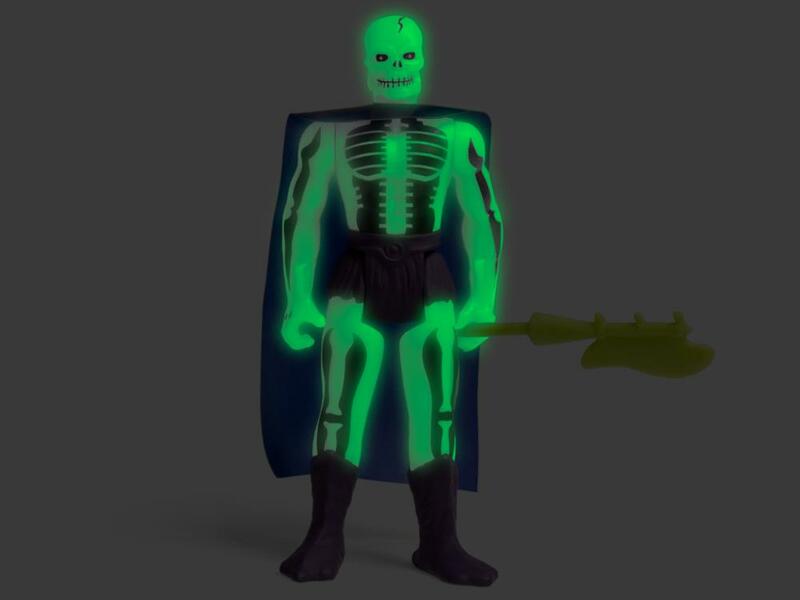 Scare Glow – The evil ghost of Skeletor is glow-in-the-dark and comes armed with his halberd. 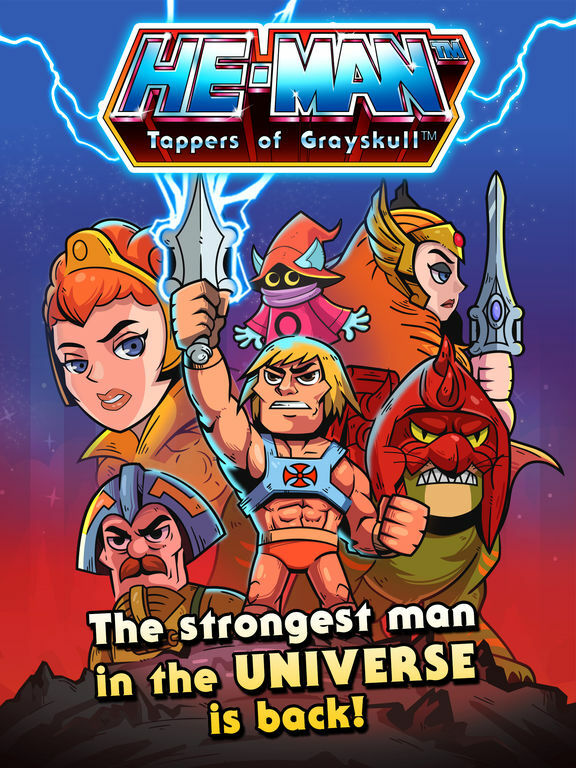 Super7 Monday Sale – 15% OFF Masters of the Universe! 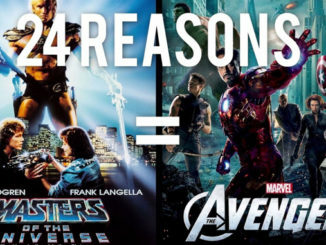 24 Reasons Avengers & Masters of the Universe are the Same Movie! CinemaSins and Couch Tomato have posted a hilarious new episode that gives 24 reasons why Avengers & the 1987 Masters of the Universe are the same movie. Enjoy!